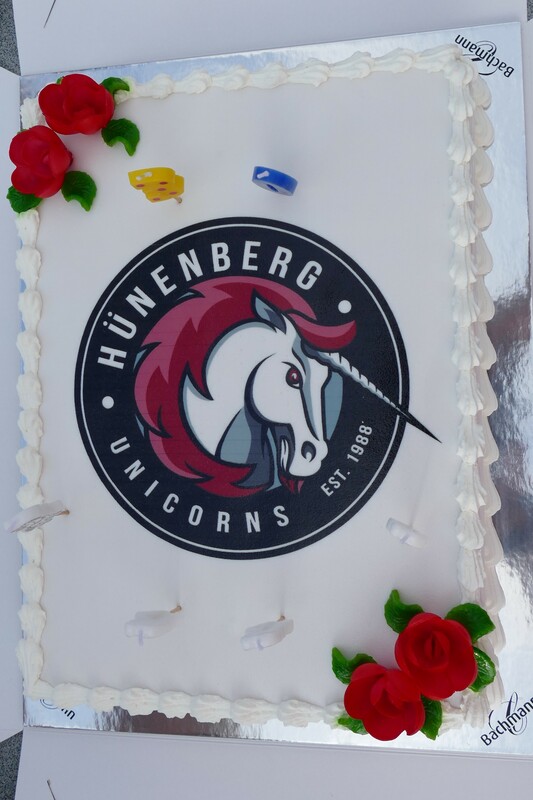 On April 18th 2018, the Unicorns Baseball und Softball club celebrated 30 years since our founding. 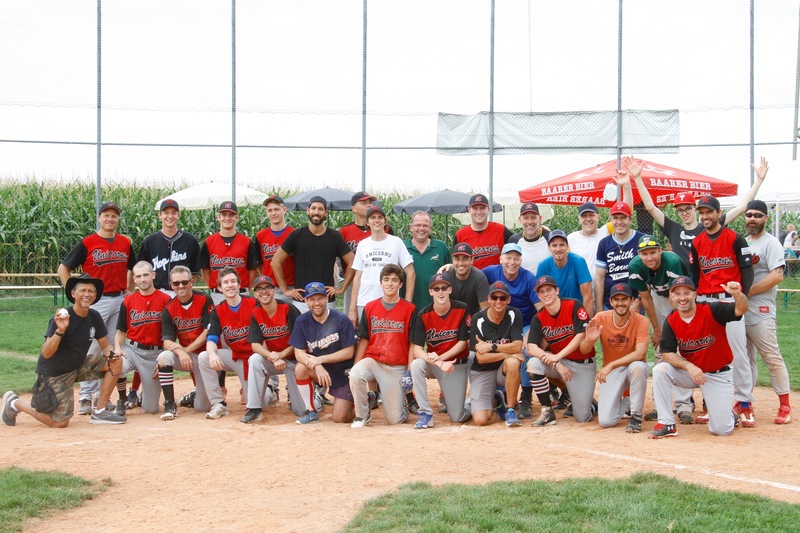 The club gathered together at Rony Field for a baseball game and softball game between the current baseball and softball teams against the Old Stars. 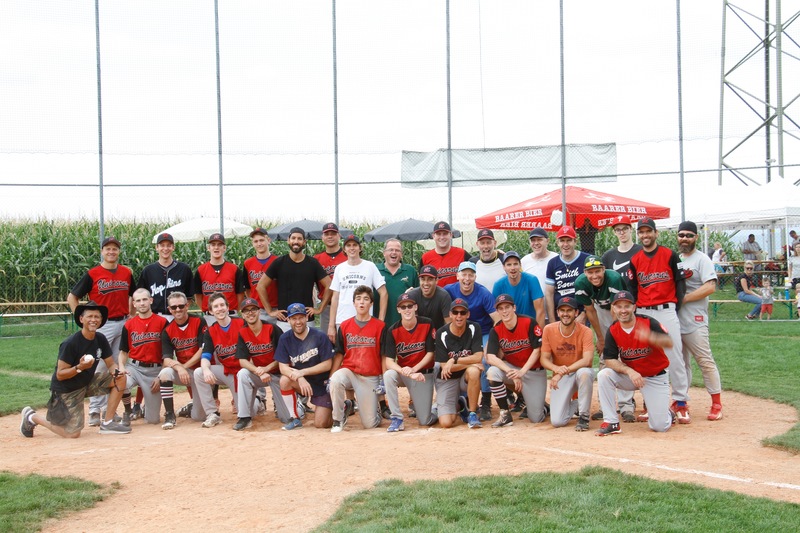 The Unicorns baseball team featured pitching from Shaen Bernhardt, Michael Bini, and Kieran Brot. The Old Stars were managed by Martin Bosshard, who decided to start the game with club president, Carlo Brot, on the mound. Surprisingly, Carlo notched his first ever strike out in the first inning. Carlo was followed by Yannick Brot and Daniel Keller. The game stayed close with both teams trading leads. The Old Stars scored on hits from Philip Oehen and Martin Bosshard. The Unicorns countered with big hits from Aiden Mitchell, Steven Murphey, and Brian Hauck. The Unicorns entered the bottom of the final inning, down 6-7. 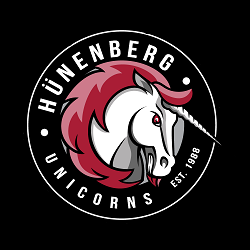 However, the Unicorns battled back and Brian Hauck scored a walk off win, stealing home on a wild pitch. 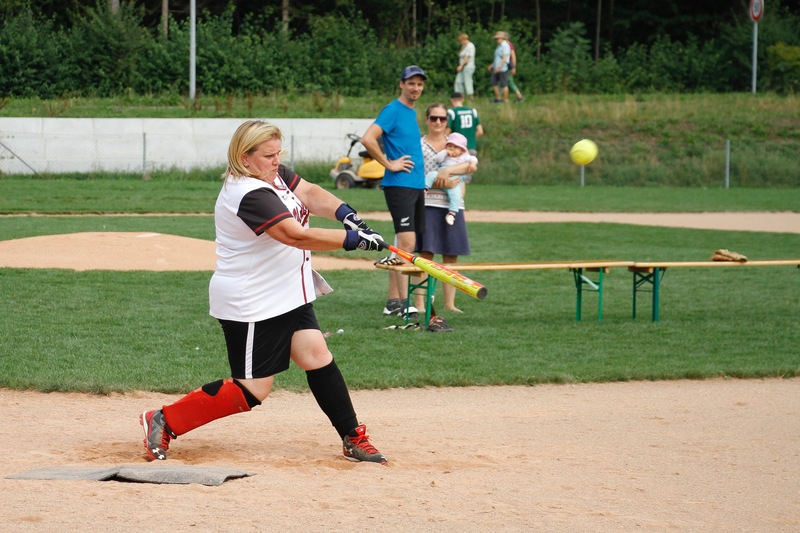 After the baseball game, the Unicorns’ softball team played a spirited game against the Old Stars. The Old Stars were led by Patrick Leemann, Irene Späni, Evelyn Joller and Manuela Keiser. The Unicorns received great pitching from Ambi Cruz, as well as great hitting by Susan Seiler, Dani Seiler, and Lara Kessler. The teams played 5 innings of slow pitch and 2 innings of fast pitch softball. To cap off a fantastic day of baseball and softball, the Unicorns, Old Stars, and their families gathered after the games for a BBQ. Club President Carlo Brot, gave a speech praising the achievements of the club in the past 30 years and honoring the Club’s founders. One of the club’s founders, Daniel Keller, attended the party and received a special thanks from the club for starting the club all those years ago. The party concluded with the singing of happy birthday and enjoying a special Unicorns birthday cake. Special thanks to Carlo Brot, Giw Razavi, Shaen Bernhardt, Michael Bini, Adi Gretener, Lara Kessler, Steven Murphey, Martin Bosshard, Simone Murphey, and Sarah Eggli for helping organize the event.